St Michael's is in the Parish of Tettenhall Regis, which covers the areas of Tettenhall, Aldersley, Bilbrook and Pendeford, and includes the churches of Christ the King, Holy Cross and St Paul. Welcome to St Michael & All Angels! Our church has been serving Christ at the heart of this community for hundreds of years. 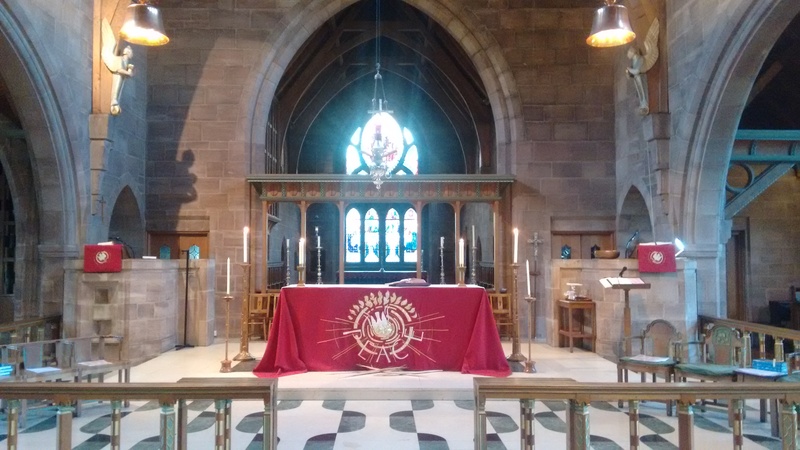 As the parish church in Tettenhall Regis, along with our sister churches of Holy Cross, Christ the King and St Paul's, we serve 30,000 people in north west Wolverhampton, including the communities of Tettenhall, Aldersley, Bilbrook and Pendeford. Please click here for details of Easter Services. Please click here to visit the "Special Events" page for Easter Services at a glance. Please click here to visit the "Special Events" page for details of exciting Lent Courses. From the BCP on the last Sunday of the month. These resources are provided by Simon Kershaw, on his Oremus suite of sites. Whilst we have a great deal of respect for his work, we cannot guarantee the content. Sometimes the page fails to load properly; if this is the case, reloading the page should solve the problem.